Webster defines “gentleness” as “the quality or state of being gentle…mildness of manners or disposition”. When we are “gentle” we exhibit a nature that is kind and gentle. While Jesus walked on this earth there were times when he could be harsh and stern, like with the Scribes and Pharisees, but mostly he exhibited a gentleness like has never been seen before nor since. 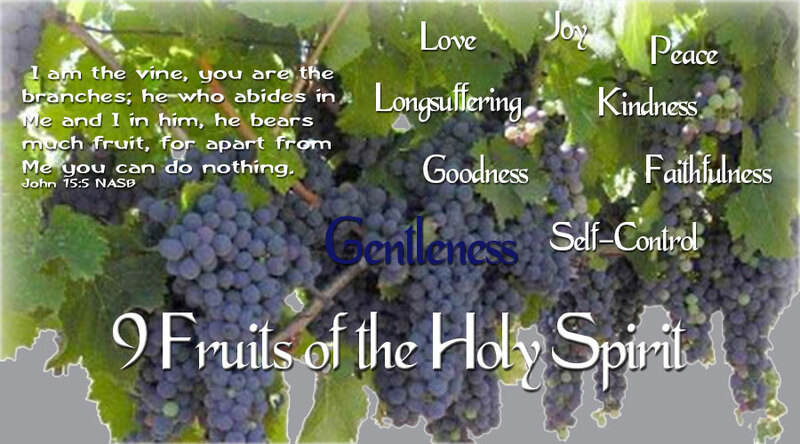 As always, Jesus is the perfect example of how we should live our lives, with great gentleness. There are so many people in this world who have never experienced gentleness. Not one gentle word, not one gentle touch, not even a gentle act of kindness. As Christians we can open up the world of gentleness to these people to be able to receive Jesus and His healing power and saving grace. As parents we need to be able to discern when to use tough love and when to use a gentle approach in our discipline of our children. Our children quickly bring out the temperament in us. We should never discipline our children out of anger but ONLY out of love. If they do something that makes us mad, we need to step back, cool down, and think on the situation so we can be gentle with them as God is with us in the punishment. As parents we need to strive to choose our words carefully when speaking to our children. Constant words of rebuke and criticism cause them to eventually feel like “what’s the use” and they give up. Yes, we have to reprimand them when they do wrong, but we also need to commend them when they do well. Commending them should outweigh reprimanding them as much as possible. 1 Corinthians 4:21 NASB teaches us, “What do you desire? Shall I come to you with a rod, or with love and a spirit of gentleness?” Would you rather be reprimanded with a rod or with words of love and a spirit of gentleness? As we learn to walk in the fruit of gentleness we will see people gravitating towards us because they are seeking gentleness, a quality they are lacking yet yearning to experience. How will you paint your canvas today?